The Alpha is a trendy 3″ wedge sandal with a padded front strap for ultimate comfort. This style has a hook & loop backstrap and a faux buckle hook & loop strap at the instep. The instep strap has contrasting leather & rivet accents. Naot’s anatomic cork & latex footbed is wrapped in a pampering suede and molds to the shape of the foot with wear. This style has a 3″ polyurethane sole. The Aspen is a chic slide which rhinestone accents going up the middle strap. This style visualizes a hook and look and contrasting leather designs at the front strap, Naot’s anatomic cork & latex footbed is wrapped in a pampering suede and molds to the shape of the foot with wear. The Classic Collection features a 1.25″ EVA sole. 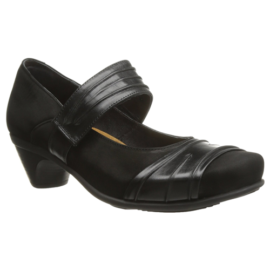 The Naot Begonia is a stylish sandal with four hook and loop straps with faux buckles for complete adjustability. Naot’s removable, anatomic cork & latex footbed is wrapped in pampering suede and molds to the shape of the foot with wear. The Bloom Collection features a 1.75” polyurethane sole which is extremely lightweight, and durable. The Naot Brooke is a feminine slide sandal. The brooke has functioning stretch for adjustability and a leather lined center with rhinestone accents. Naot’s anatomic cork and latex footbed is wrapped in a pampering suede and molds to the shape of the foot with wear. The Naot Carly is a fully adjustable slide sandal with two hook & loop straps. Naot’s anatomic cork & latex footbed is wrapped in a pampering suede and molds to the shape of the foot with wear.